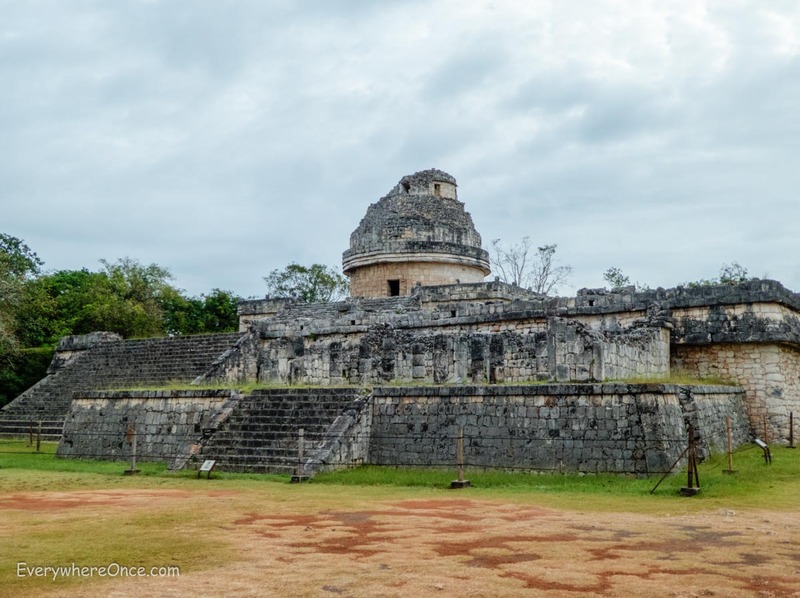 We’re always glad to have places to ourselves, and Chichen Itza is no exception. But this is a place structured in a way to absorb crowds better than most of the other popular sites we’ve visited. First of all there is tons of open space. The field surrounding the Kukulcán Pyramid, Chichen Itza’s signature attraction, would take several thousand people to fill. Elsewhere, choke-points and bottlenecks are limited to just a couple of roads connecting separate archaeological clusters. It’s not impossible to imagine the place getting overwhelmed by crowds in the late-afternoon, but it would require tons of people visiting all at once to accomplish that feat. 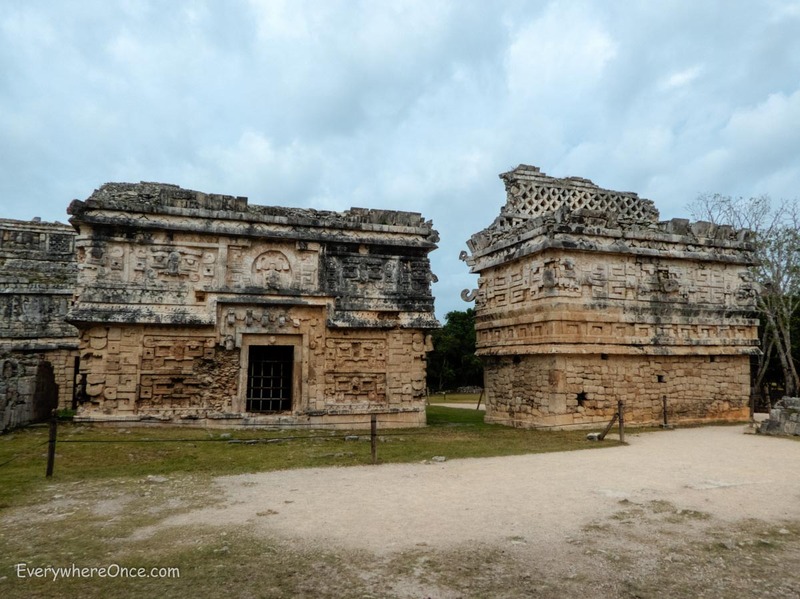 The other thing that probably keeps Chichen Itza from becoming too annoying is a fairly recent development. The park no longer lets visitors climb on or through the ruins. That has the downside of giving the site a museum quality, look but don’t touch, please stand behind the velvet rope, kind of feel. 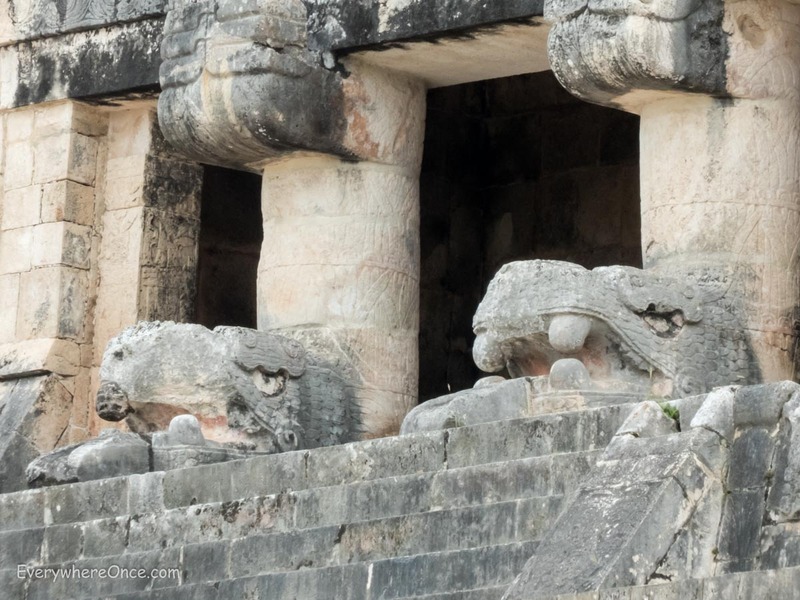 But the benefit is that Chichen Itza’s monuments stay completely clear of the hordes. Even at its most crowded, the structures still look like Mayan ruins rather than a collection hills crawling with ants. Even though we took our time at the site we still only spent about two, maybe two and half, hours visiting and sometimes revisiting the ruins. So it really is a place you can do on a day trip. And even by late morning after the first of the Cancun buses started to roll in, the park wasn’t terribly crowded. 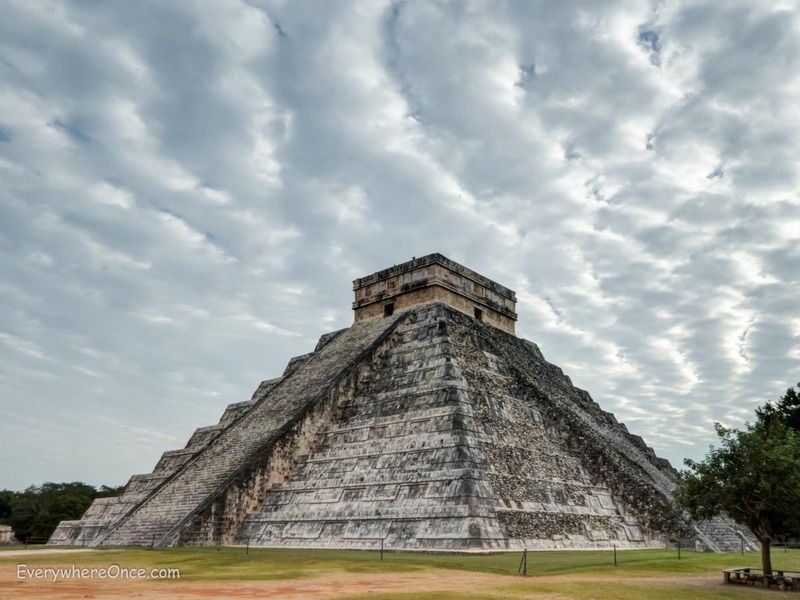 If we were to visit Chichen Itza again we’d probably skip the overnight stay and instead daytrip in from near-by Valladolid (pronounced Bay-yah-doh-LEED). Second-class buses leave from Valladolid’s ADO bus station every hour on the quarter hour starting at 7:15 am. ADO doesn’t publish schedules for its second class service on the internet so you’ll have to go to the bus station to confirm departure times. The ride to Chichen Itza takes about 50 minutes from Valladolid, so it’s possible to take a public bus and still get to the front gate at opening, not much later than when we arrived. 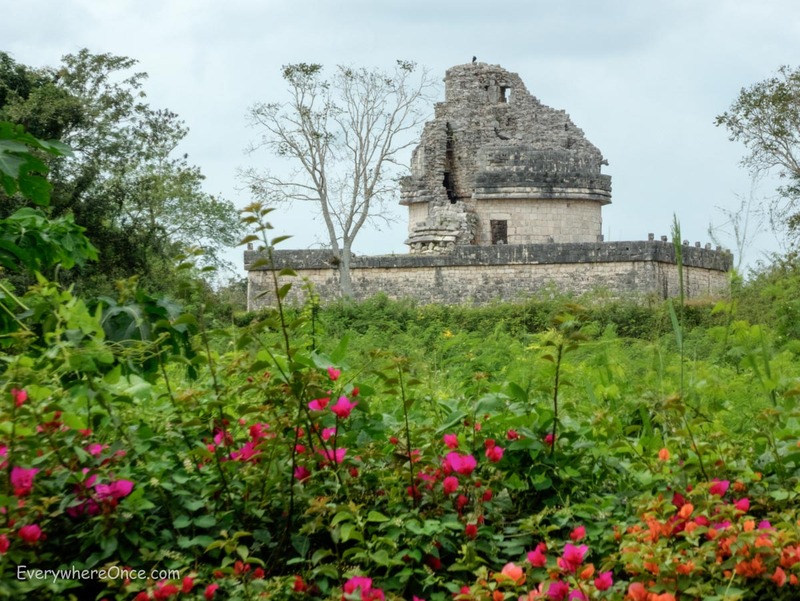 Even day-tripping in, you can still have plenty of time in relative solitude at one of the most visited archaeological sites in Mexico. Great pix! 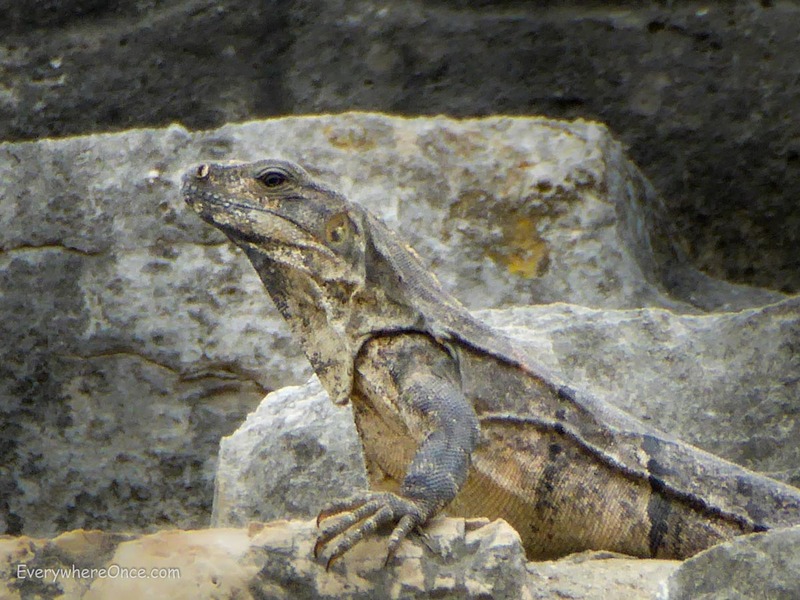 The iguana is fab – looks like another statue. It’s true. He was so still and back-lit when we first saw him we thought he was a piece of stone. I am not an early bird so I could never wake up at 7am on vacation just so that I’m the first person there. My friends and I visited the complex in early March last year during the afternoon so technically that was peak rush and I didn’t think it was that crowded. There was ample space to walk around, eat lunch under a tree and get a good photograph of each building. Of course if you are looking to take some award-winning photographs of these ruins and don’t want to be disturbed by a single tourist then I guess the 8am time is best. I guess everyone has their own way of enjoying a vacation. Interesting I stayed at Villas Arqueologicas in Teotihuacan, the same hacienda-style hotel as you described, for entering the ruins before 8am the next day to beat the horde, but eventually two Mexicans I met on the bus convinced me to join them that afternoon. 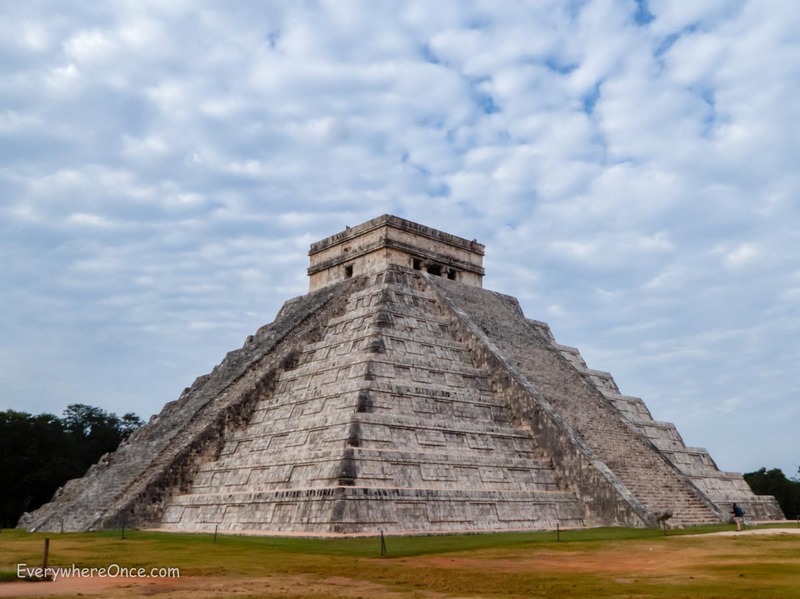 Still, as the same with Chichen Itza, the ride from Mexico D.F to Teotihuacan takes nearly 50 minutes and there are subways going from downtown to the bus station very early morning. Look forward to reading more of your travels in my favorite country. That’s excellent info that will come in handy when we’re in DF later this trip. Gracias! 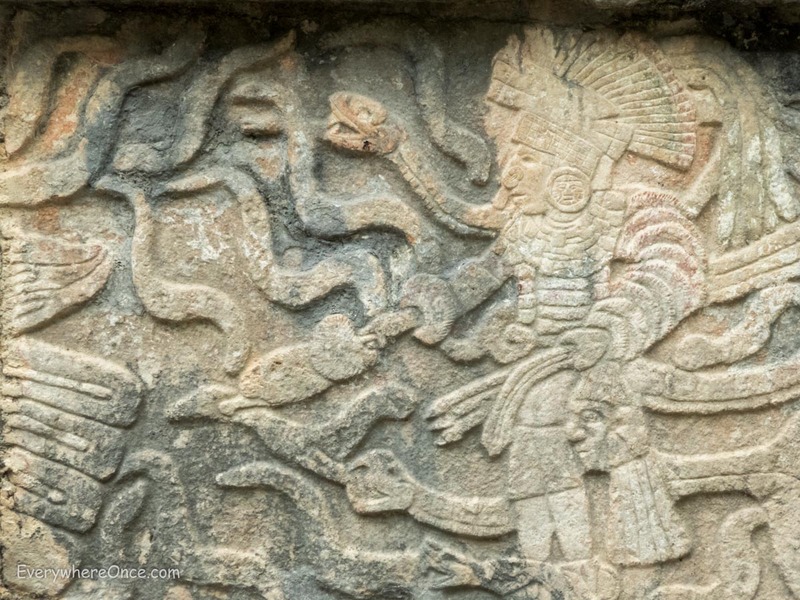 nice article to read espically ” El Caracol” temple.. really amazing.